In a medium saucepan bring 1 ½ cups of water to a boil. Add rice, stir and reduce to a simmer. add cooked rice, 1 ½ cups of milk, sugar and salt. Cook over medium heat for about 15 minutes, stirring frequently. Stir in remaining ½ cup of milk, beaten egg and raisins. Return the mixture to a simmer and cook an additional 5 minutes more. Remove from heat and stir in butter and vanilla. Pudding will thicken as it cools. Serve warm or cold. This was not my mothers Rice Pudding! Mom always baked hers and it was crusty and we poured milk over it. 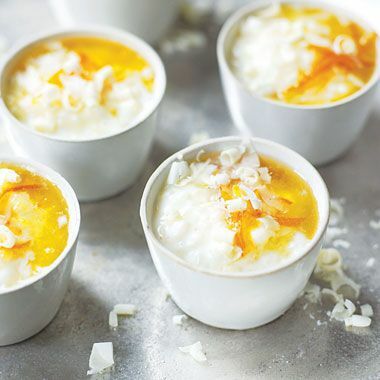 Until I began to eat away from home I thought all Rice Pudding was the same. Then I came across this one . . . what a difference! I still remember hers . . . but like it this way.